It is getting a little chilly outside and what could be better than a piping hot cup of soup and a cornbread muffin? YUM! Just thinking about it makes me happy. 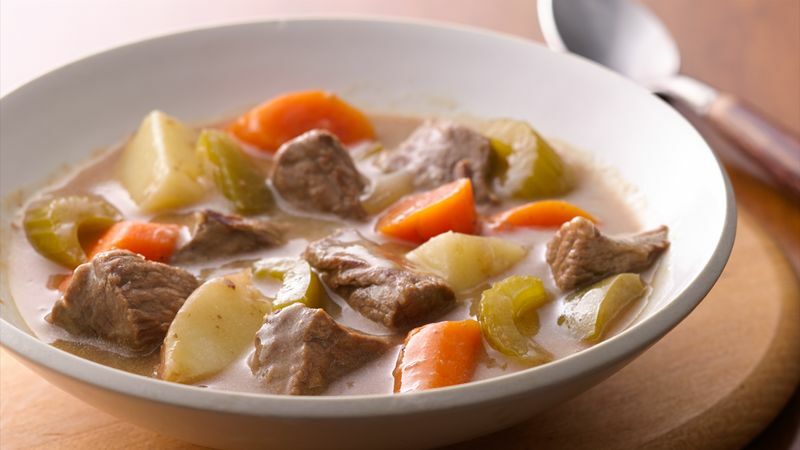 Now Bob Graves thinks it is Beef Stew time, “Soup is for lightweights,” he said, all in good humor, I am sure, because the rest of us “lightweights” love a steaming, hearty bowl of soup! But I will indulge one of my favorite Facebook friends for a minute. In 12-inch skillet or 4-quart Dutch oven, heat oil over medium heat 1 to 2 minutes. Add beef; cook about 15 minutes, stirring occasionally, until brown on all sides. Add water, 1/2 teaspoon salt and the pepper. Heat to boiling. Reduce heat to low. Cover; simmer 2 hours to 2 hours 30 minutes or until beef is almost tender. Stir in remaining ingredients except cold water and flour. Cover; cook about 30 minutes or until vegetables are tender. Remove bay leaf. In tightly covered jar or container, shake cold water and flour; gradually stir into beef mixture. Heat to boiling, stirring constantly. Boil and stir 1 minute until thickened. At my house, beef stew and Brunswick stew (and all other stews for that matter) would fall under that category of soups, but that sweet man called us lightweights—women LOVE that word, but I had to call him out on behalf of the guys! Fall is one of my favorite times of the year! The weather is just right to better enjoy the Mississippi outdoors in my opinion. My church is already starting to think about our annual picnic to “Little Mountain” or Jeff Busby State Park, but we are waiting on the leaves to start turning, which seems to be a little late this year. But as we are thinking about the picnic, there are always some amazing soups and sandwiches on the menu. I LOVE soup in the fall and winter! Tina Heath LOVES soup, and she said she makes vegetable soup by collecting leftovers. I love that idea! Glenn and Tabitha Pearson love Beef Vegetable soup. Tracey Palmer and Nancy Latham love homemade vegetable beef with cornbread. Janet Lea Brister Henley also loves vegetable soup, but she has to add ground sausage in it. 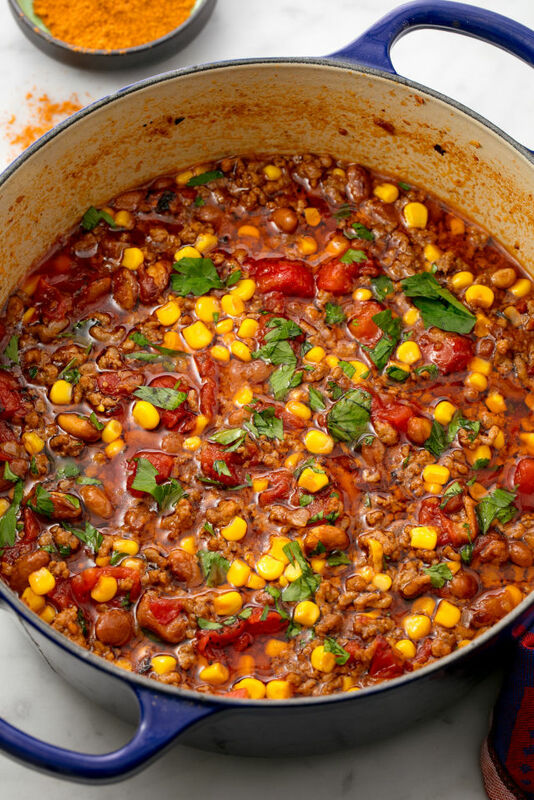 One very popular soup that I am planning to try this year is Taco Soup. One summer, I lived with my parents in Sulpher Springs, Texas and I worked at a Soup and Sandwich Shop and Taco Soup was on the menu every day. I never tried it. They had large chunks of green bell peppers in their soup and I had a hard time believing that was good. But I am a little more open to the possibilities these days! And this recipe doesn’t have the bell peppers. In a large Dutch oven or pot over medium heat, heat oil. Add onion and cook onion until soft, 5 minutes, then add ground beef and cook until no longer pink. Add beans, corn, fire-roasted tomatoes, taco seasoning, and water. Garnish with sour cream and green onions. 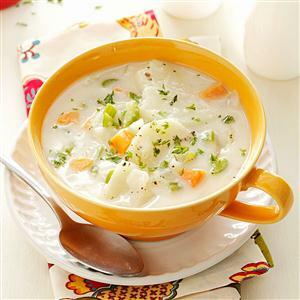 The other half of my Facebook and Twitter friends and followers love potato soup. Now we’re talkin’! I have shared my go-to Creamy Potato Soup recipe here before, and I think Tina Heath and I have the same recipe, made with real butter and cream! Potato soup is a Fall favorite for Mary Yeatman, Gaylynn Bailey, Amber Ware, Nancy Burton Nail, Theresa Alldread Mitchell, Bonnie Corley Locke, Tracey Palmer, Becky Johnson and Tracie Perrigan Cunningham all love potato soup. Carolyn McMullen said she loves her Potato soup with lots of cheese and bacon bits on top and that is the way ALL potato soups should be served! Jeanie Ming likes baked potato soup with Gouda Cheese and bacon. When we lived in Starkville, my husband, Pepper, and I would go to Harvey’s Restaurant in Starkville every Monday because Potato Soup was the Soup of the day. It is always served with shredded cheese, crumbled bacon and green onions on top. We think about Harvey’s every Monday and hate it when we think of Potato Soup Monday on a Thursday in Starkville for lunch. Boo! But this Fall, I may try a new Potato Soup recipe just to mix things up a little. In a Dutch oven, cook the potatoes, carrots and celery in water until tender, about 15-20 minutes. Drain, reserving liquid and setting vegetables aside. In the same pan, sauté onion in butter until tender. Stir in the flour, salt and pepper; gradually add milk. Bring to a boil, cook and stir for 2 minutes or until thickened. Gently stir in cooked vegetables. Add 1 cup or more of reserved cooking liquid until soup is desired consistency. Yield: 8-10 servings (about 2-1/2 quarts). I will share more Fall Soup Recipes next week. Have a favorite? Send it to gwenwoodssisson@yahoo.com! A couple of really good, hearty soups there. I love stew in the fall/winter! I just made a batch in my slow cooker the other night!